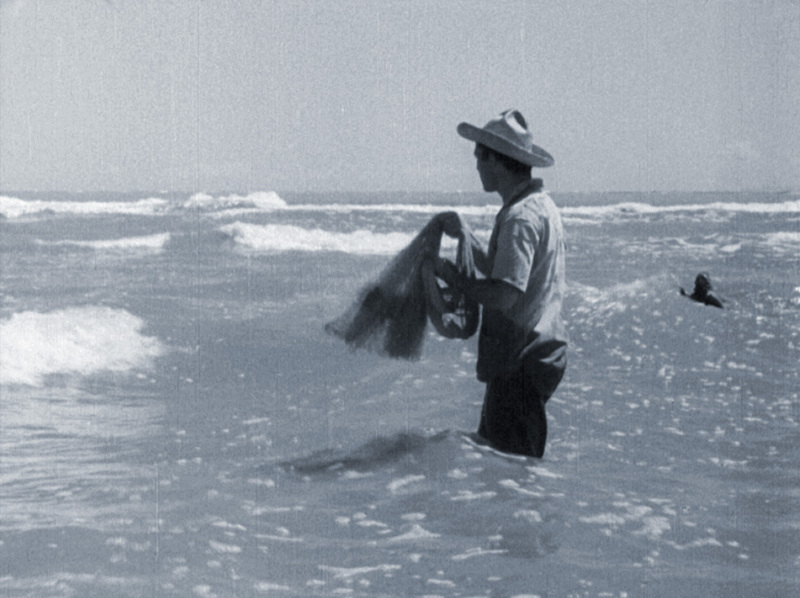 A3MG was hired by PostClassical Ensemble to refresh the classic 1935 Mexican film by Paul Strand (original soundtrack composed by Silvestre Revueltas) with a newly recorded soundtrack conducted by Angel Gil-Ordóñez. 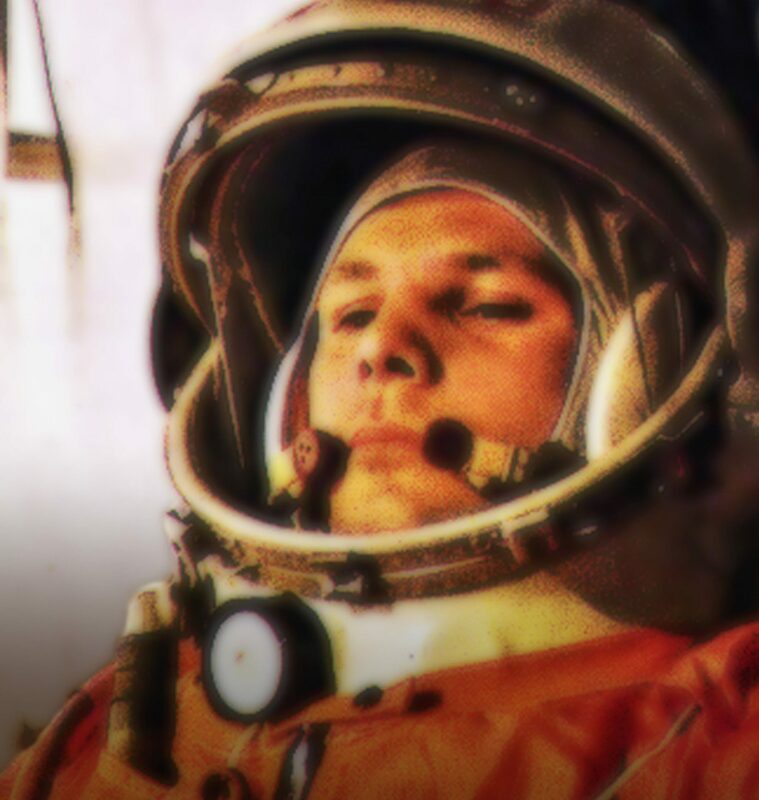 The film is available on DVD from Naxos Records. 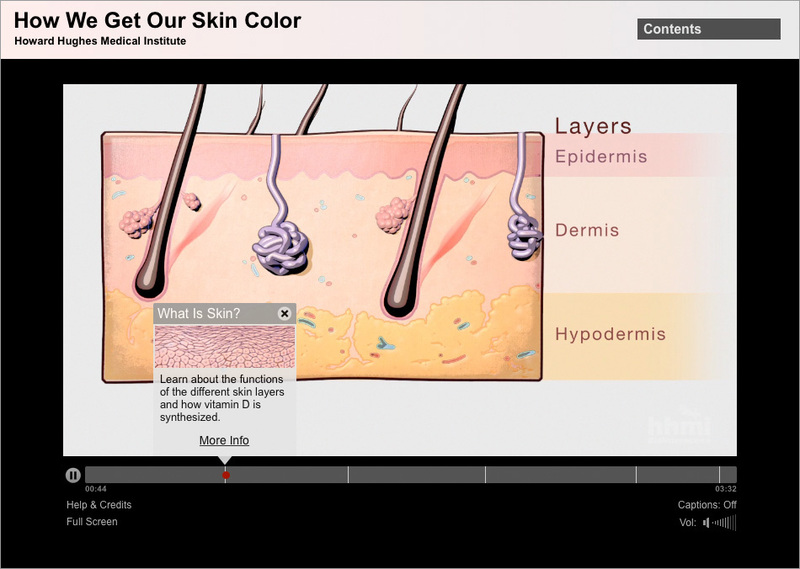 A3MG designed and authored the DVD for the Howard Hughes Medical Institute’s annual Holiday Lectures on Science DVDs. 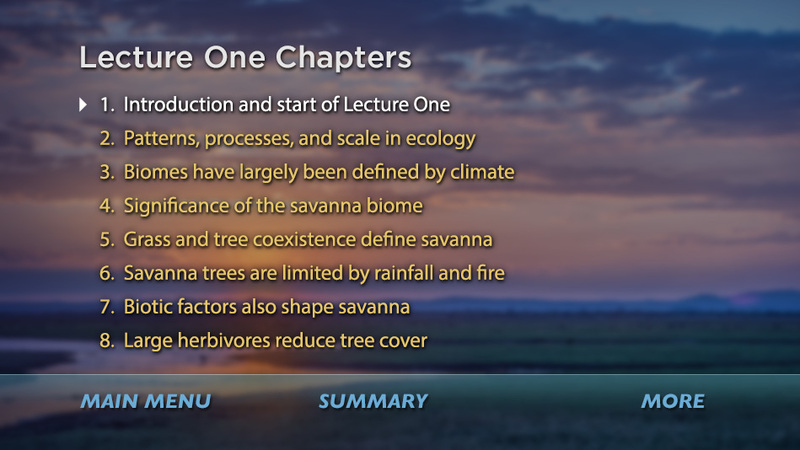 Above are two menus from the 2015 lectures on the topic of ecology. 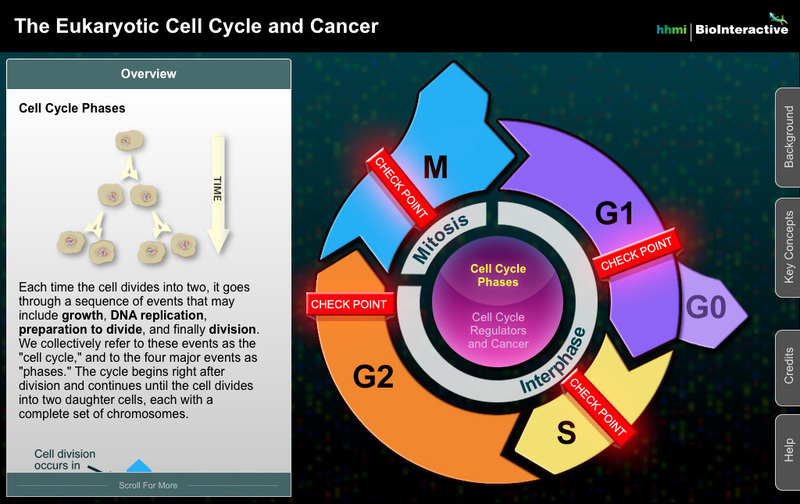 Working with scientists at HHMI BioInteractive, A3MG programmed and provided illustrations for this interactive to explore the phases, checkpoints, and protein regulators of the cell cycle. 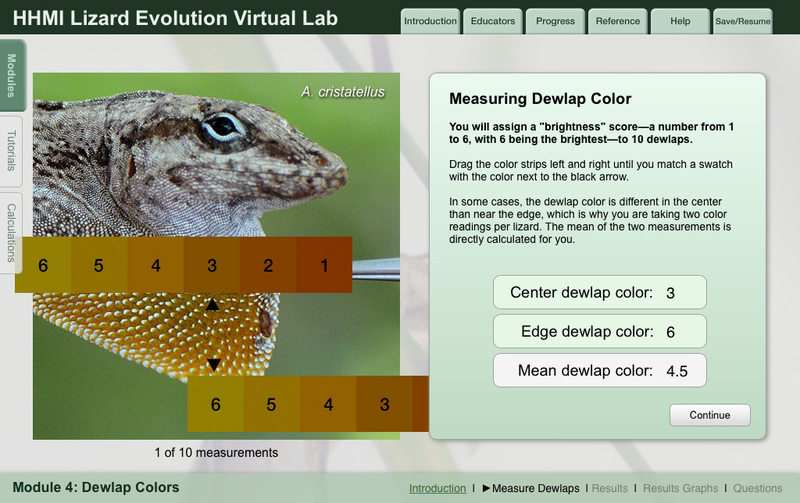 The Lizard Evolution Virtual Lab was developed by a team of scientists, educators, graphic artists, and film makers to explore the evolution of the anole lizards in the Caribbean. 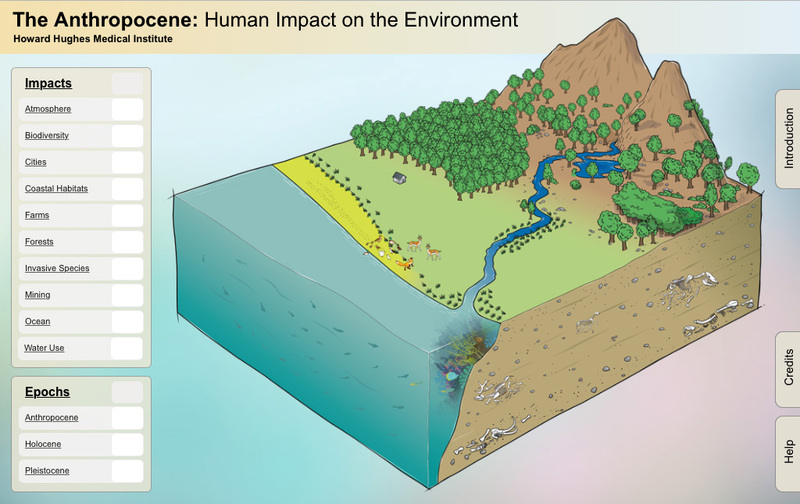 A3MG provided interface design and graphics as well as the programming of BioInteractive’s latest virtual lab. 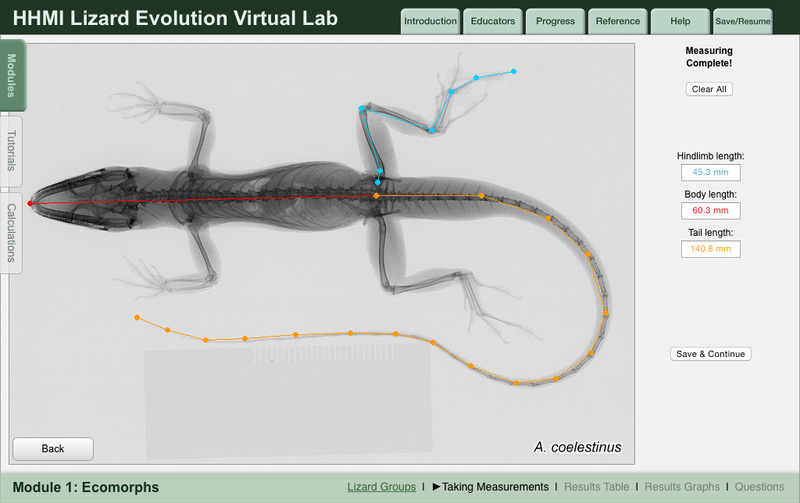 The virtual lab includes four modules that investigate different concepts in evolutionary biology, including adaptation, convergent evolution, phylogenetic analysis, reproductive isolation, and speciation. 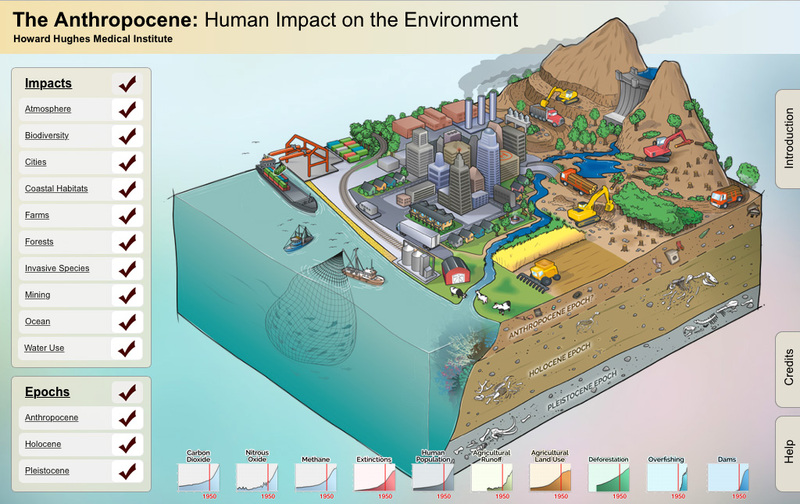 Each module involves data collection, calculations, analysis and answering questions. 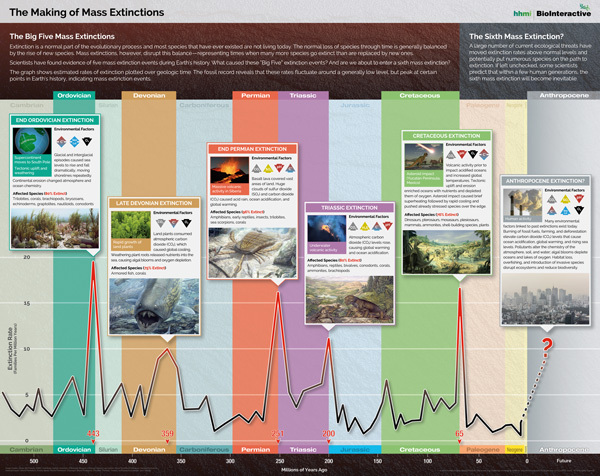 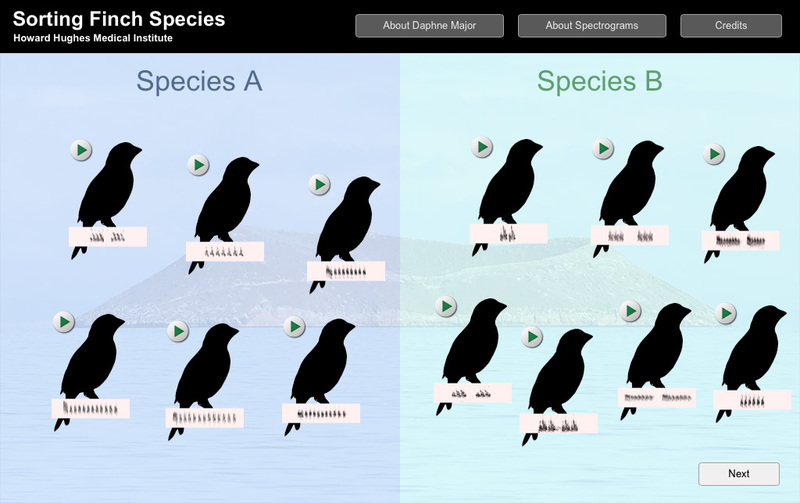 This Web app was designed and programmed by A3MG for HHMI’s BioInteractive. 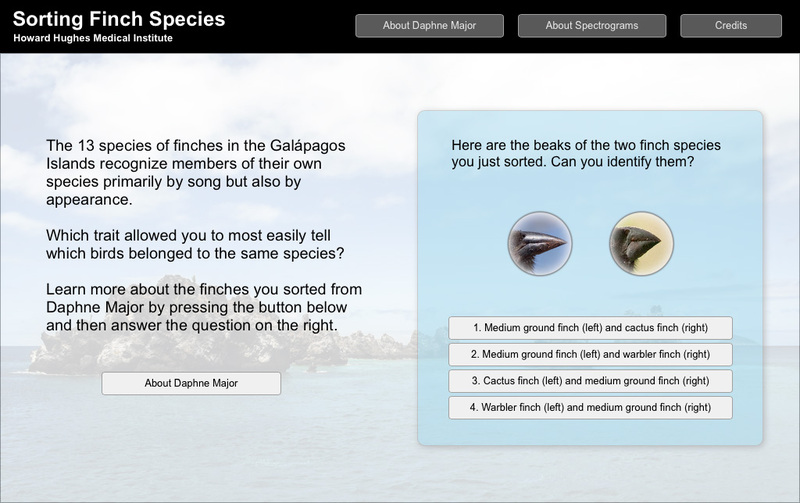 This fun activity tests students’ ability to distinguish between two species of finches living on the island of Daphne Major based on how they sound and look. 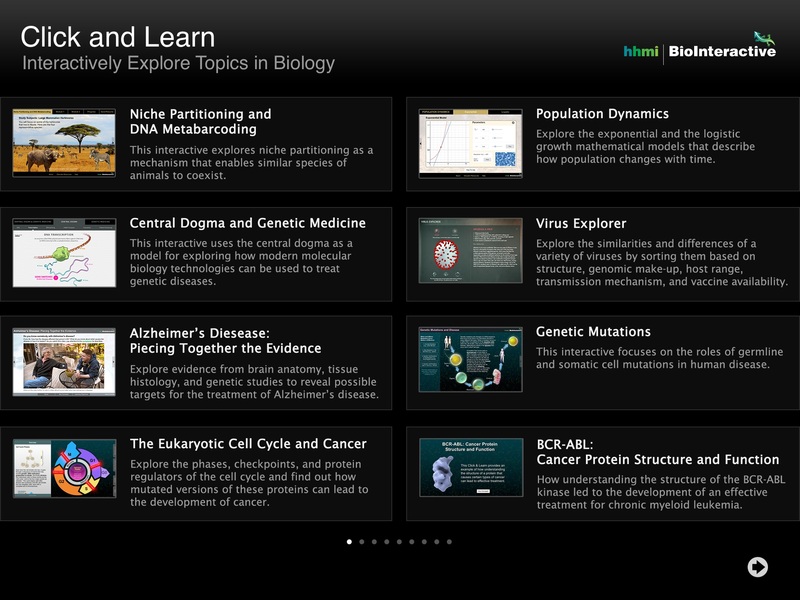 Interactively explore topics in biology with the Click and Learn app. 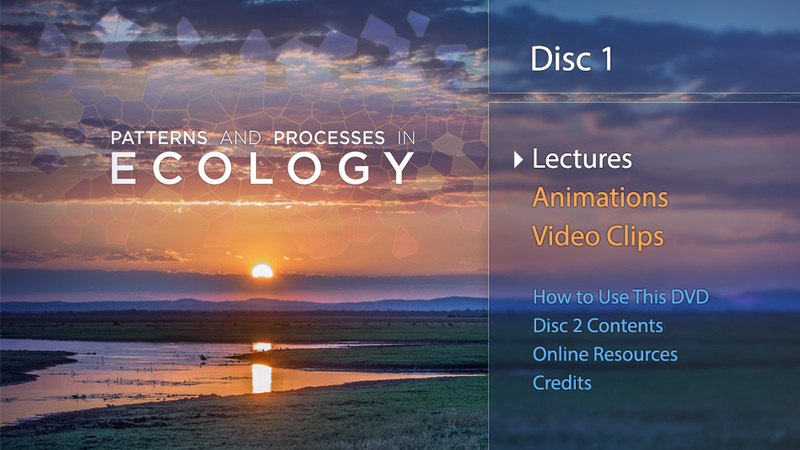 Topics include evolution, neurobiology, infectious diseases, and bioinformatics. 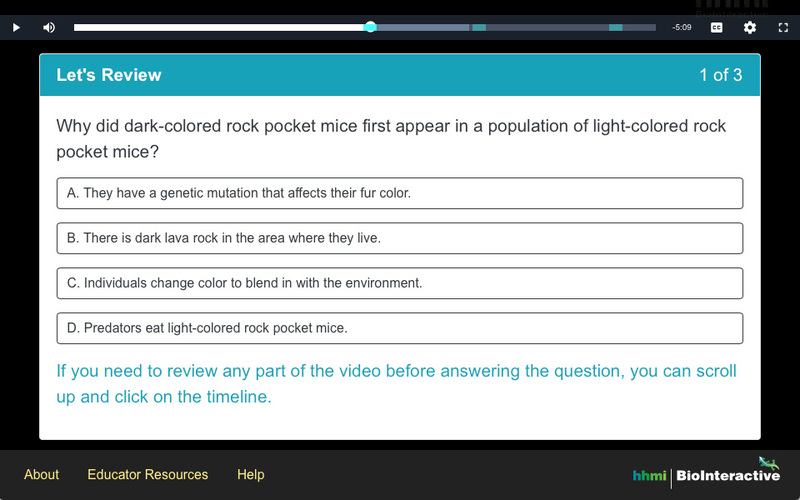 These mini-lessons were originally created for HHMI’s Holiday Lectures on Science DVD. 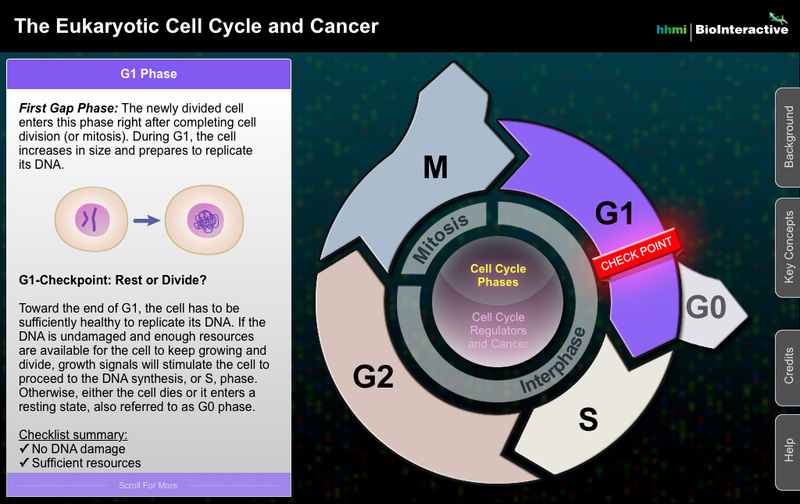 A3MG was hired to bring them to the iPhone and iPad with this universal iOS app. 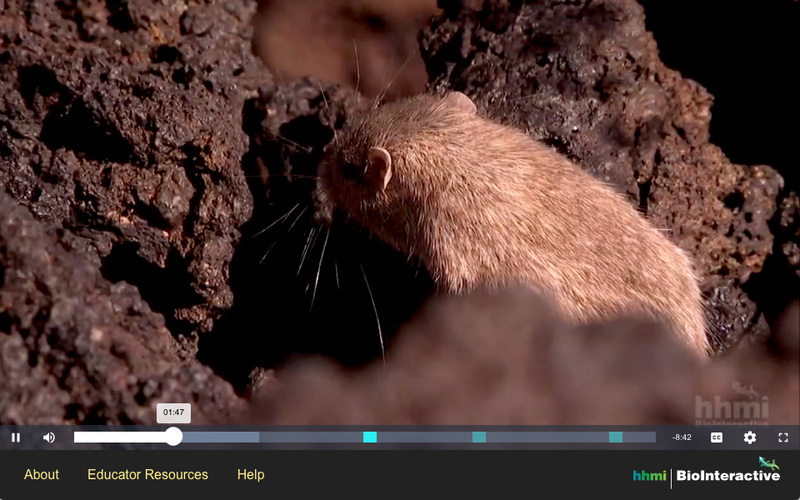 Users swipe through beautifully designed slides and tap to play supporting video clips from HHMI’s award-winning Holiday Lectures on Science.